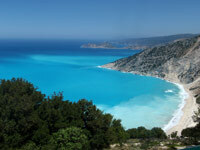 The Ionian Sea on the western side of the Greek mainland, is one of the most idyllic cruising areas of the Mediterranean. Crystal clear turquoise water, charming little villages, spectacular countryside and a pleasant north westerly breeze which rarely exceeds force 5, make it a sailor’s paradise! 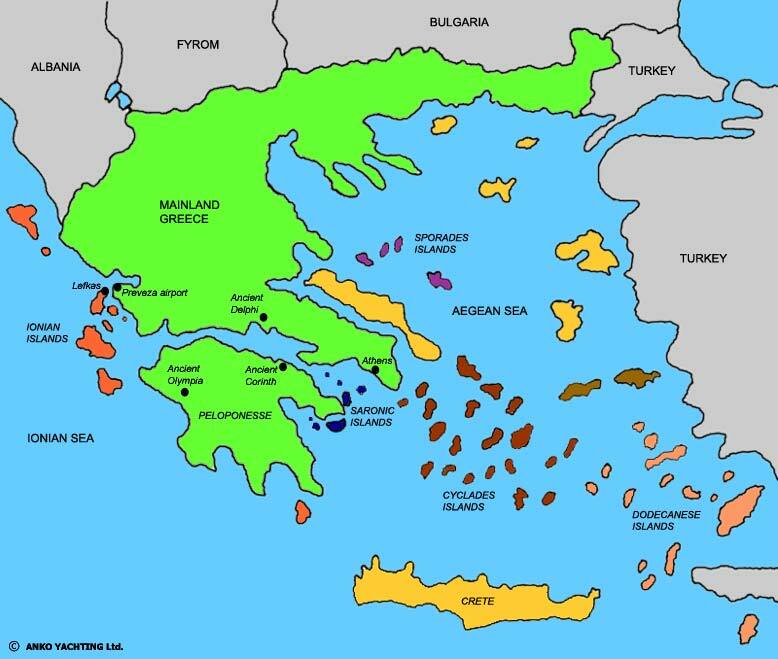 What’s more, these islands are off the beaten track, so except for yachting there is very little tourism. This area on the eastern side of the Greek mainland, offers something for everyone’s taste! Villages and little towns with nice architecture influenced from the Venetian times, ancient sites, pine forests reaching all the way down to the sea, beautiful secluded bays for our swim stops and very nice sailing conditions. 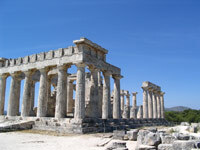 Starting our cruises from Athens may also be an advantage for some of our guests. These islands in the middle of the Aegean Sea are very picturesque with their rocky landscapes and charming whitewashed little houses with blue windows! However, because of the sailing conditions which are more challenging here, we would only recommend this area for our guests who don’t mind long days at sea and the possibility of stronger winds followed by choppy seas.